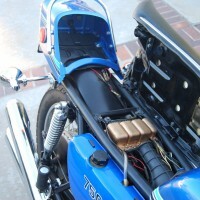 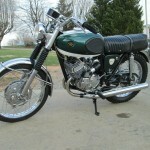 Restored 1970 Bridgestone 200 RS Motorcycle. 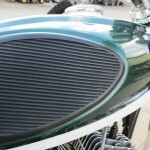 This restoration took the owner just over one year to complete. 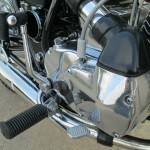 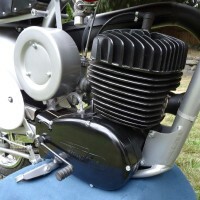 The bike was stripped back to the bare frame which was painted black. 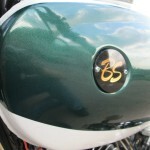 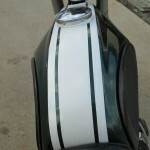 The paintwork was refinished in pearl forest green with white stripes. 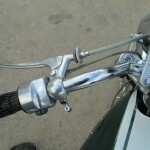 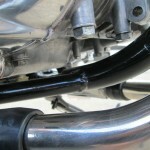 Front and rear brake cables. 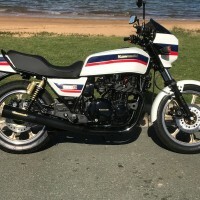 A very nice restored Bridgestone 200 RS Motorcycle. 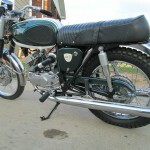 Bridgestone 200 RS – 1970 For Sale or Wanted? 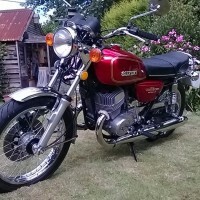 If you're looking for the perfect Bridgestone 200 RS – 1970 for sale then take a look at the hundreds of restored classic motorcycles listed on our extensive Motorcycles For Sale pages. 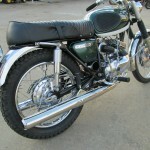 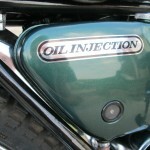 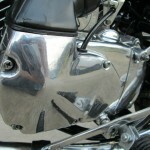 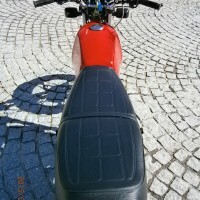 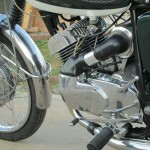 We regularly feature very nice restored Bridgestone 200 RS – 1970 bikes for sale. 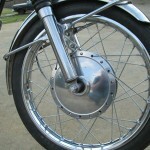 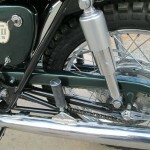 Spares and Parts for your Bridgestone 200 RS – 1970? 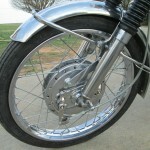 Workshop Manual for your Bridgestone 200 RS – 1970?